Fill in your details below and we will let you know within 24 hours if we can get Roll for the Galaxy: Rivalry to you with haste! 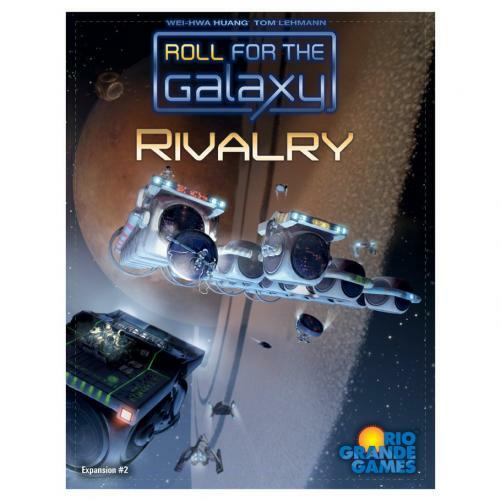 Rivalry, the 2nd expansion for the hugely-popular Roll for the Galaxy is effectively three expansions in one. It adds a whopping 437 components, including new factions, new dice, new homeworlds, new game tiles, and even new customizable dice. In The Deal expansion, a new phase is added to the game using the customizable dice and allowing players to get in on deals and exchange some assets for others. With The Orb, a Research phase is added to the game, allowing the players to modify their customizable dice to obtain immediate benefits or improved effects.